Zeiss CP.3 XD 35mm is a mid-range lens in the set of ten lenses from Zeiss. Available as standard lens or XD, in foot or metre scale. Zeiss Compact Prime CP.3 lenses range from 15mm to 135mm, ten focal lengths are available and they cover all applications from wide-angle to telephoto. Zeiss introduced CP.3/CP.3 XD lenses Compact Primes in 2017, in result replacing previous well established CP.2 generation of lenses. 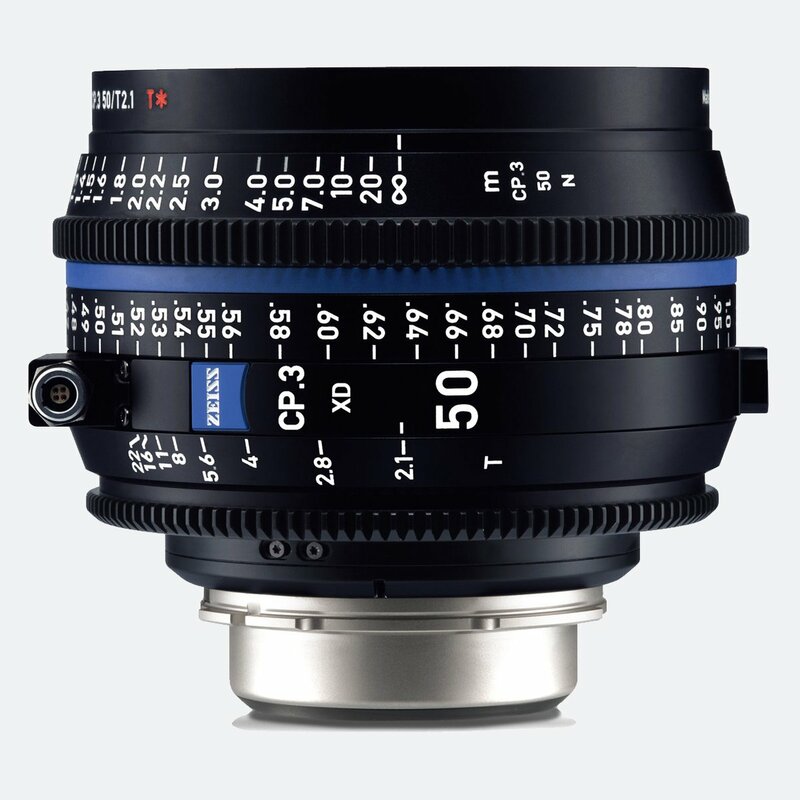 Third generation of Zeiss Compact Primes offers high image quality and reliable usability, at the same time they exibit clean, crisp characteristics Zeiss is known for, together with an interchangeable mount system and full-frame coverage. Zeiss has introduced CP.3 XD version eXtended Data which is innovative and ground-breaking lens data technology to speed-up and simplify the workflow on set and in post-production. It can provide information about the lens distortion and shading characteristics in real time. 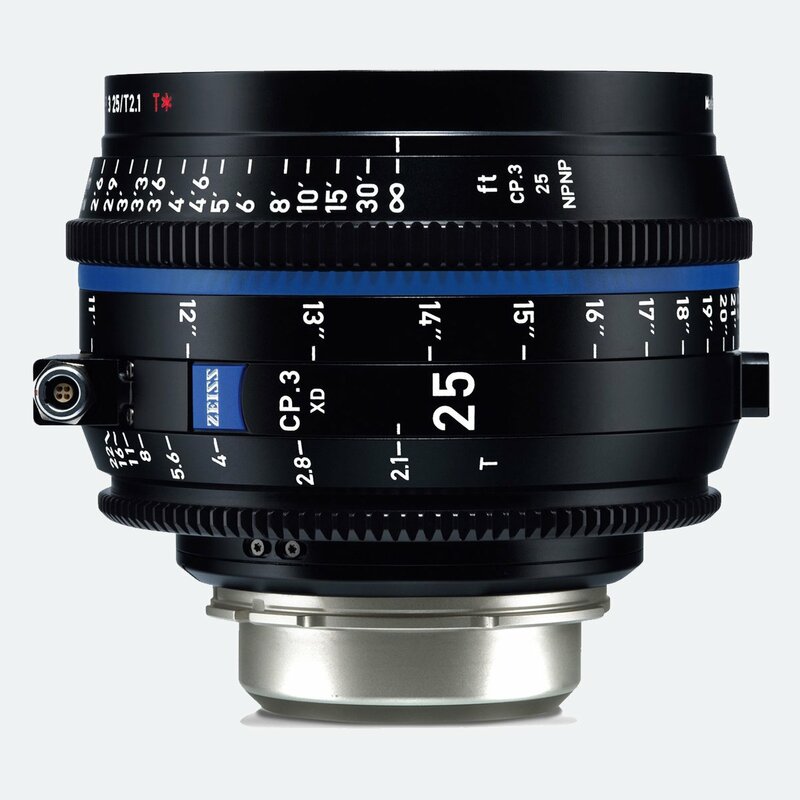 Zeiss CP.3 spans across 15mm T2.9 / 18mm T2.9 / 21mm T2.9 / 25mm T2.1 /28mm T2.1 / 35mm T2.1 / 50mm T2.1 / 85mm T2.1 / 100mm T2.1 / 135mm T2.1 range of focal lengths.